Hotel and restaurant in a former fire station. : Nuno Mendes, former chef at Viajante, did not desert London. 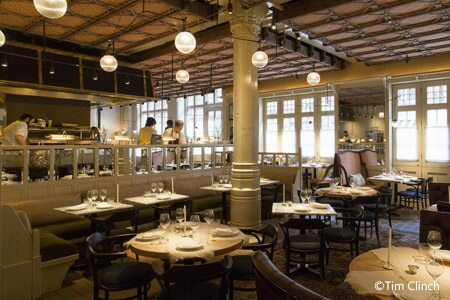 Instead, he runs the restaurant at André Balazs' boutique hotel Chiltern Street. As the name implies, it’s in a former fire station, a handsome red brick building that is something of a London landmark.